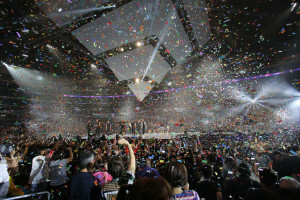 KCON USA is the original convention dedicated to bring “All Things Hallyu” to the American fan base. KCON is the one place where every element of Hallyu encompassing pop music, TV dramas, movies, fashion, food, and beauty can be experienced and celebrated. At KCON, you can encounter your favorite stars, stimulating panels, interactive workshops, and countless booths of fun dedicated to putting the world of Hallyu at your fingertips! 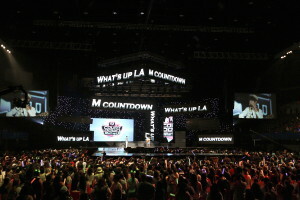 KCON began as a one day event in 2012 at the Verizon Wireless Amphitheatre in Irvine. 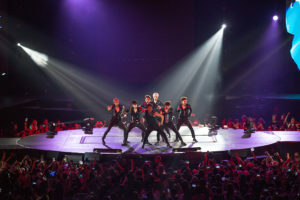 After three years of exponential growth, KCON 2015 grew to a five-day festival in two locations: a three-day festival in the enormous Los Angeles Convention Center, two nights of concerts in the iconic Staples Center and a first-ever KCON in the New York Metro Area at the Prudential Center with a concert night! KCON now stands as one of the “22 Best Music Festivals of 2015” listed by FUSE. 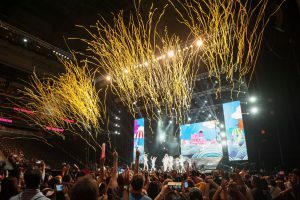 Hallyu continues to prove itself as a global phenomenon as KCON 2016 expands to take place once again in Japan and heads over to the UAE for KCON Abu Dhabi. This will be the first time such a large K-pop event is being hosted in the Middle East and marks an enormous expansion of K-Pop overseas. 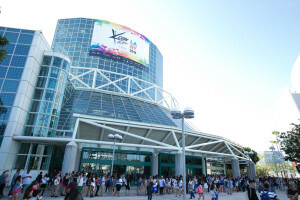 KCON is also becoming a valuable platform for industry professionals to connect with their audience, create content, and expand the Hallyu community. In 2017, the brand further expanded internationally, presenting KCON in Mexico and Australia as well as returning to Japan. 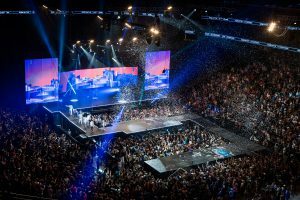 Over 147,000 fans came to celebrate KCON NY and LA last year combined. 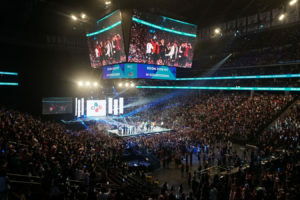 KCON 2019 NY will take place at Madison Square Garden and Javits Center for the first time, and KCON 2019 LA will be extended to four days at the Staples Center and LACC. KCON will continue to feature a concert line-up of more artists, celebrity meet and greets, as well as workshops and panels that cover every aspect of Korean culture and entertainment. 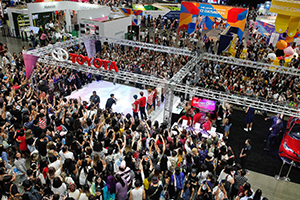 It’s a celebration bringing more fans, more stars, more panels, and more hi-touches! 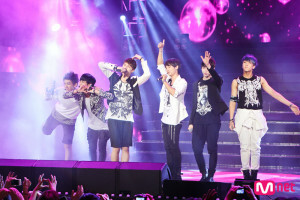 Let’s KCON!